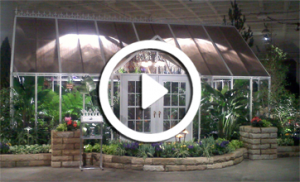 One of the biggest challenges for any home or garden greenhouse is keeping it cool summer and warm in winter. That’s why Arcadia greenhouses are designed with several different glazing options to meet your individual needs for appearance, energy efficiency and budget concerns. Arcadia GlassHouse models come standard with sidewall options that include single-pane glass, 8mm clear triple-wall polycarbonate, or 16mm 5-wall polycarbonate. Roof options include 8mm or 16mm tinted polycarbonate for optimum shading and insulation. We put our best insulating material in the roof where heat rises and tries to escape. 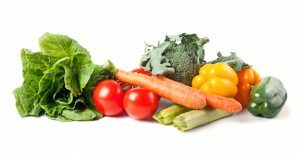 Polycarbonate reflects the damaging ultraviolet (UV) rays, while allowing the Photo-synthetically Active Rays (PAR) to come through, providing your plants with the spectrum of light they need to thrive. 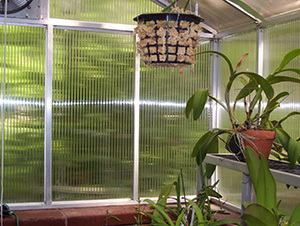 Our clear polycarbonate sidewalls diffuse the light better than glass and prevent leaf burn, while allowing 84% light transmission. 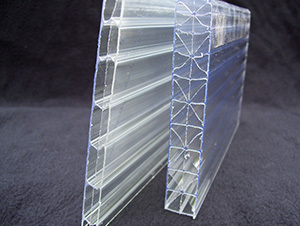 Multi-wall polycarbonate provides ultimate energy efficiency. This ten-year old polycarbonate still looks great!